People are getting more and more concerned with space and TV sets are getting more and more efficient with their space requirements and features. The markets have evolved and TV wall mounts have innovated with them. TV wall mounts started to offer tilting mechanisms, to combat the glare and to also give more viewing perspectives to the people watching. After tilt wall mounts come swivel mounts, where the TV screen can be adjusted left or right. The next step up is basically combining the two in making an articulating TV wall mount. What an articulating TV mount does is it gives the TV screen full-motion adjustments. This works really great for TV wall mounts installed at a corner; it can give more viewing spots and it looks really great in doing so. 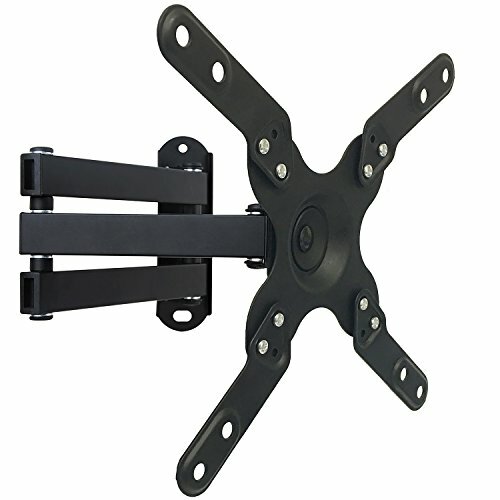 This WALI Articulating TV LCD Monitor Wall Mount is capable of much flexibility due to its articulating arm. The steel arm can move in most directions and is also immensely sturdy. This TV wall mount also has great control of the screws because of the design; you can see the screws remaining as tight as they were the first time they were installed even after many adjustments in the past six months. This TV wall mount is brought to the market by Wali Electric. 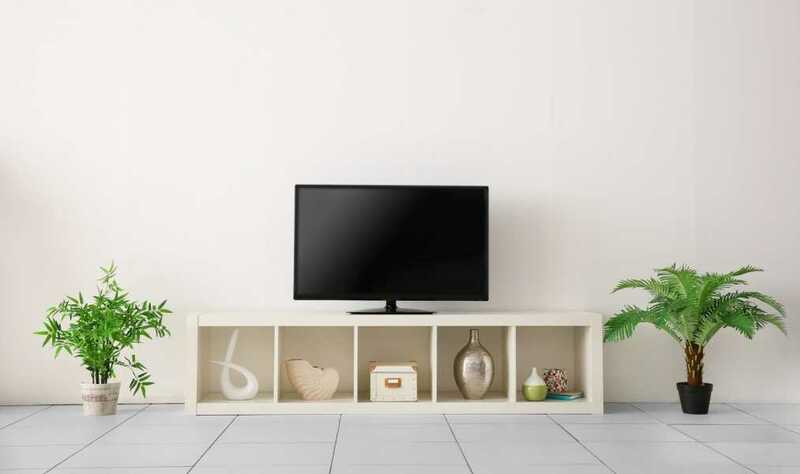 Wali Electric is an online retail company with a large offering of TV wall mounts, floating shelves, monitor mounts, speaker mounts and even hard drive trays. They specialize in supporting trays, mounts and other paraphernalia. This product is actually one of their best sellers and we can see why. While Wali has six different TV wall mounts, this articulating product beats the rest by far, both in sales and in features. It is very small and lightweight and the assembly is quite easy as well. For a more detailed review, the features, pros and cons are listed down. It can accommodate VESA screw distances of 100 x 100, 100x 200, 200×100 and 200 x 200 only. It has a very sleek design which not only conserves space, but also makes the movement of the TV screen fluid, smooth and strong. The articulating arm is made of steel, ensuring the sturdiness of the supporting base where the TV set is attached. The base has its own extendable arm as well, increasing both the reach and the strength of the TV wall mount. This is a huge saver of space. It only measures 9 x 2 x 6 inches. For its weight, it is only 2 pounds at most. It can accommodate TV screens and other monitors from 13 inches to 30 inches wide. Capacity is listed as 33 pounds. That means for every pound that this wall mount weighs, it can carry up to 16.5 pounds. That is a feature which is above average for the competing wall mounts of the same size and weight. Total reach of the extendable arms after the wall mount base and the TV screen is 14 inches. There is a breathing space of 2 inches between the TV set and the wall. The mounting mechanism is actually very easy to attach. However, it can only work with single studs but can be attached to any wooden, concrete and even brick surfaces. The hinge that connects the extendable arm and the brace where the TV set is attached can be tilted 15 degrees up or down. The metal brace of this wall mount also allows it to swivel. It can move left to right up to 180 degrees. There is also a smooth metallic hinge that allows it an almost 360 degrees rotation. This hinge can be found in the extendable arm. Installation is very easy. It takes less than 30 minutes for assembling and for installing this wall mount. The materials are also very light which helps in installing the wall mount with not much effort. It is very easy so that a beginner can do it. The arms, hinges and hooks are both immensely flexible and very durable. The maximum capacity is 33 pounds, but most 30 inches flat screen TV sets sit at around 30 pounds. The rotation, tilting, swiveling and just all-around tweaking of its position is very smooth. Most of the parts are small, especially the screws. Take care that all of the parts are accounted for. Most TV wall mounts of this size and weight can carry more pounds. Admittedly, they are not as flexible as this one. For those who want to have a flexible viewing position with a small TV set, WALI Articulating TV LCD Monitor Wall Mount will do its job and more. Not only is it flexible, it is also immensely strong. The design also allows great fluid movement. It is highly recommended!